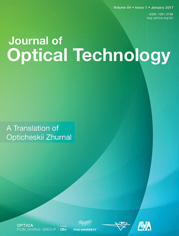 This paper presents a novel approach to polishing the end face of optical fibers including single mode fibers. Single mode fibers, due to having small diameters, are cumbersome to hold while polishing against the grinding wheel. The main challenge has been to hold the end face firmly while polishing. A solution for holding it is presented in this study using locally available materials and capillary tubes. The main ingredients used for holding the fiber are capillary tubes, due to capillary action, and sealing wax. Excellent results were achieved and the results were confirmed and are presented in the form of improved coherence length and beam quality.